That's a lot of footwear. 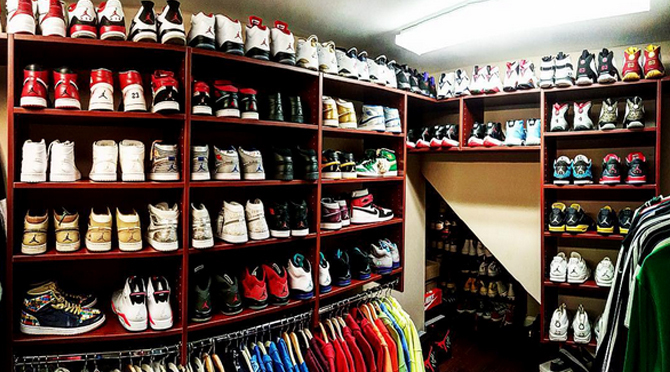 Nick Cannon wants the world to know that he's got a lot of sneakers. He also wants younger sneaker collector Chris Brown, who he mentioned in the below Instagram post, to know how deep his collection is. The post is a response to Brown's Instagram sneaker closet shot from a couple weeks back, a setup that Cannon seems to think he has beat. Above is a glimpse into his New York sneaker stash, with the below coming from his West Coast closet. Just for good measure, Cannon showed off a super early pair of the "Chicago" Air Jordan XX3.